There will also be free hot drinks, snacks, hot food and food parcels for those who need them; information and support on health and wellbeing; internet and phone for use for benefit claims etc, and support from Julian House and Canal Ministries. 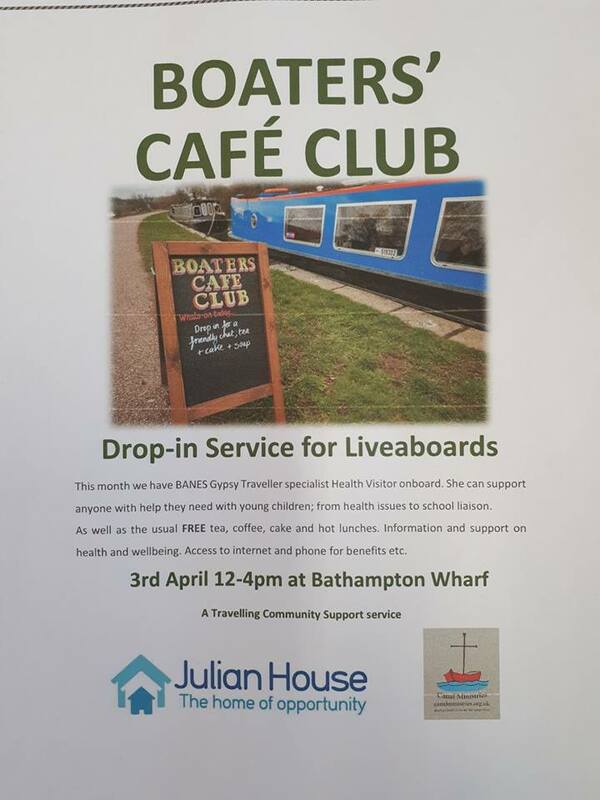 The outreach boat is run by Julian House Gypsy, Traveller, Boater & Roma Community Support Service. This entry was posted on Monday, April 2nd, 2018 at 11:52 am	and is filed under Community, News, Resources. You can follow any responses to this entry through the RSS 2.0 feed. You can skip to the end and leave a response. Pinging is currently not allowed.